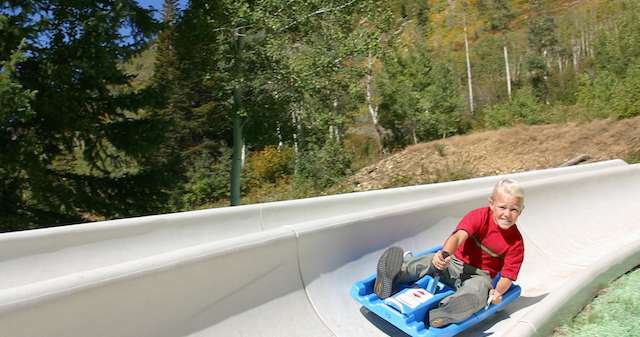 There is a variety of different things to do in Utah in the summer. There&apos;s biking and hiking and swimming. There&apos;s the Hogle Zoo and Red Butte Gardens. So when I managed to get my hands on some Salt Lake Connect Passes earlier this summer, I was pretty excited! I thought, look at all this cool, new stuff I get to try in Salt Lake! Then I found out I could take the Snowbird Summer Tram with them and I buckled. Like a great floating beast it began calling to me. "Jakeeeee...There&apos;s probably still snowww up heree," "Jakeeeeee...You need to go skiing right now!" Well...I folded like a cheap suit. What I thought was going to be the summer I beat my skiing demons away with mountain bikes and boat trips, lasted only 39 days. I am a weak, weak man.